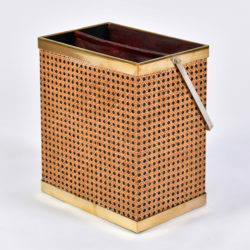 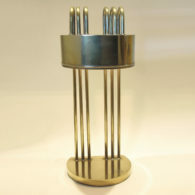 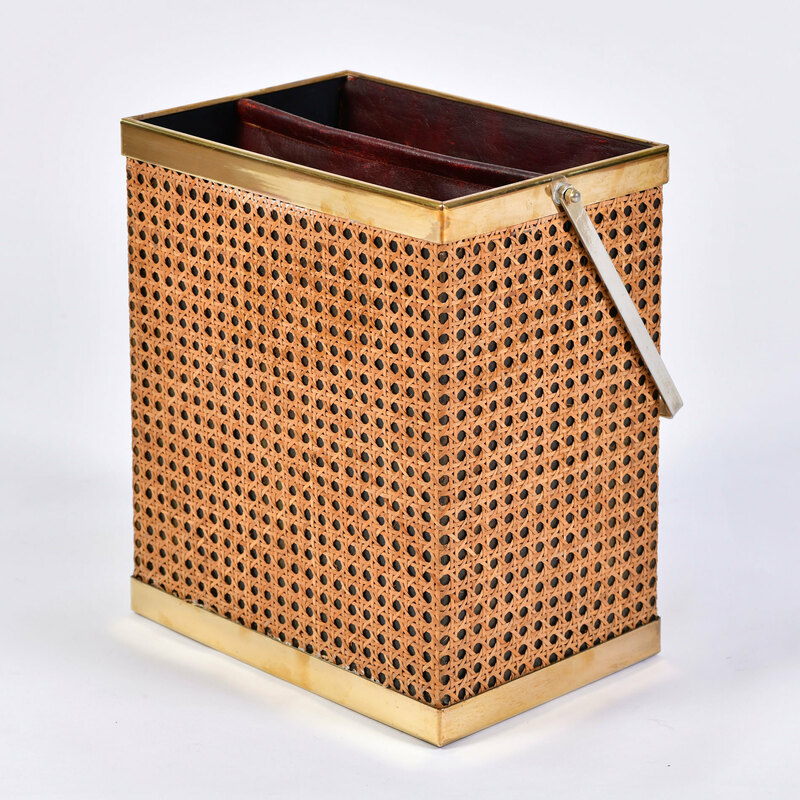 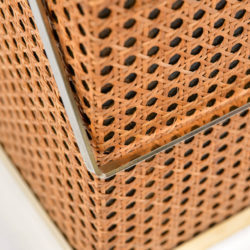 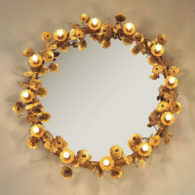 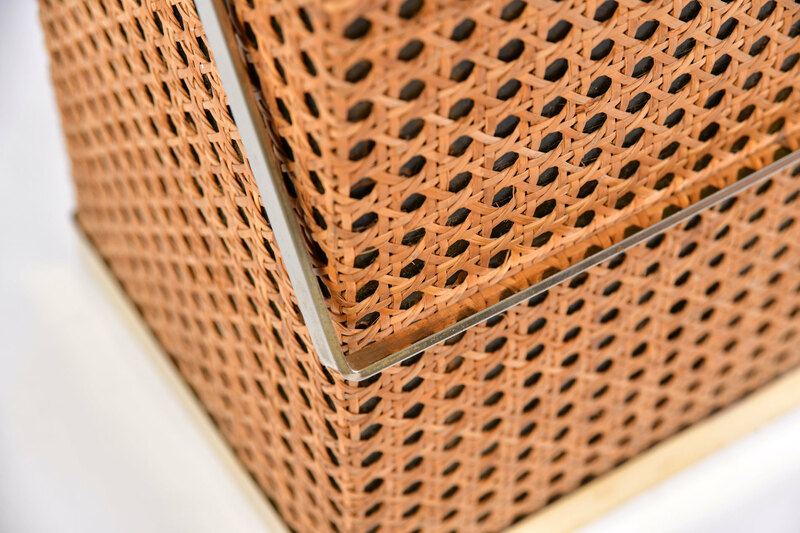 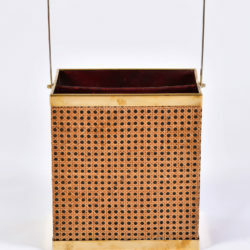 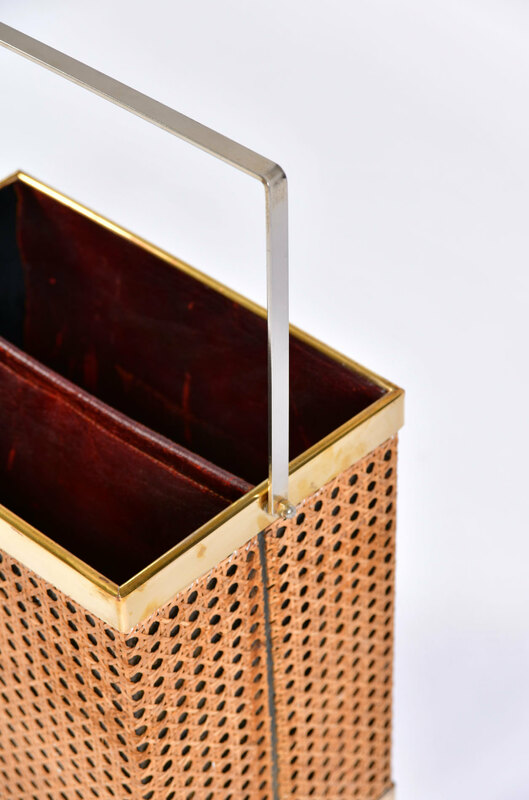 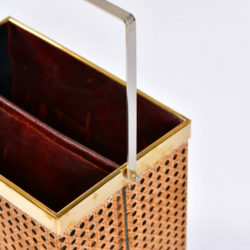 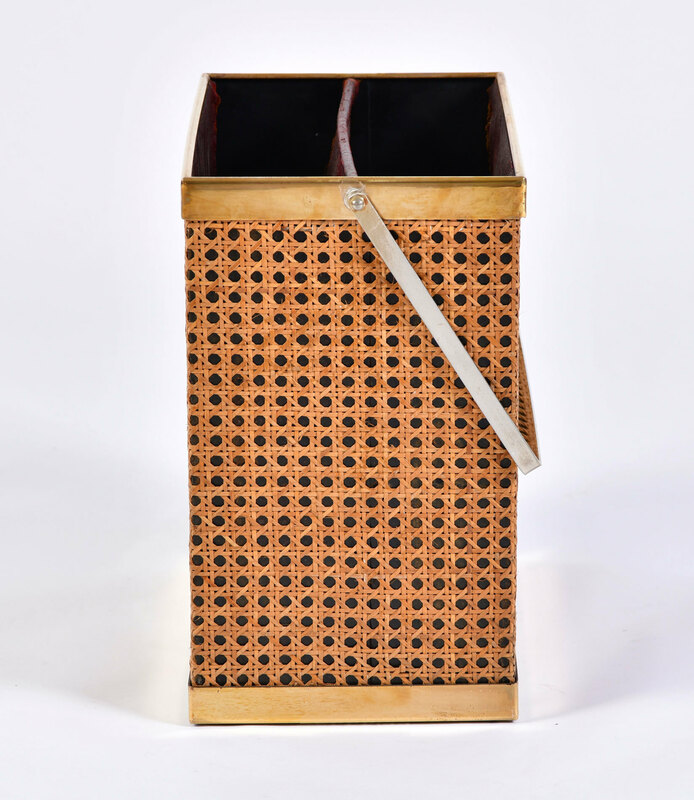 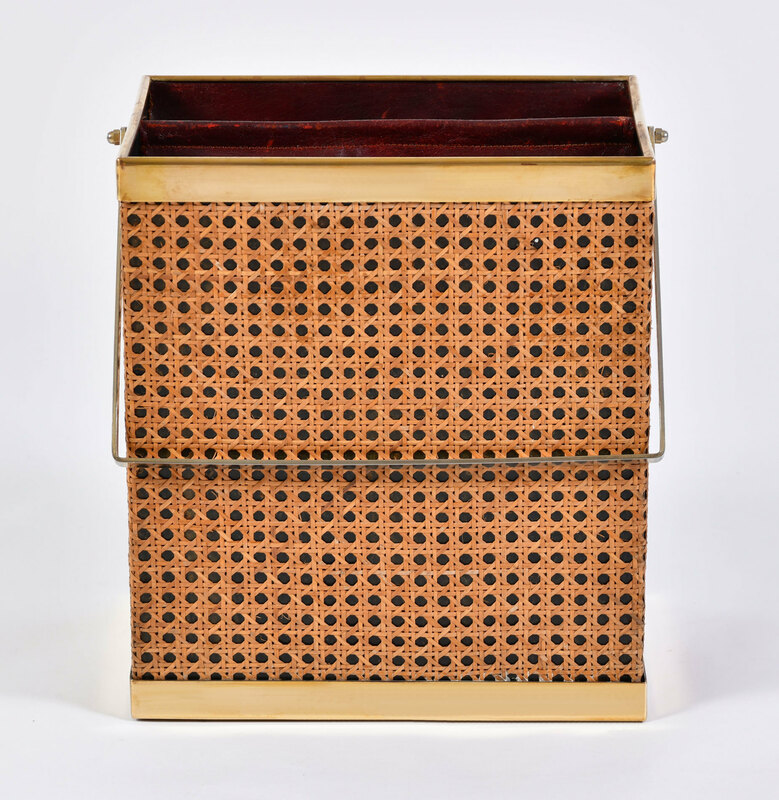 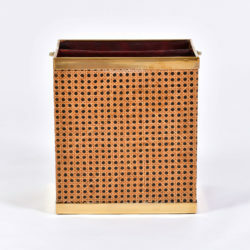 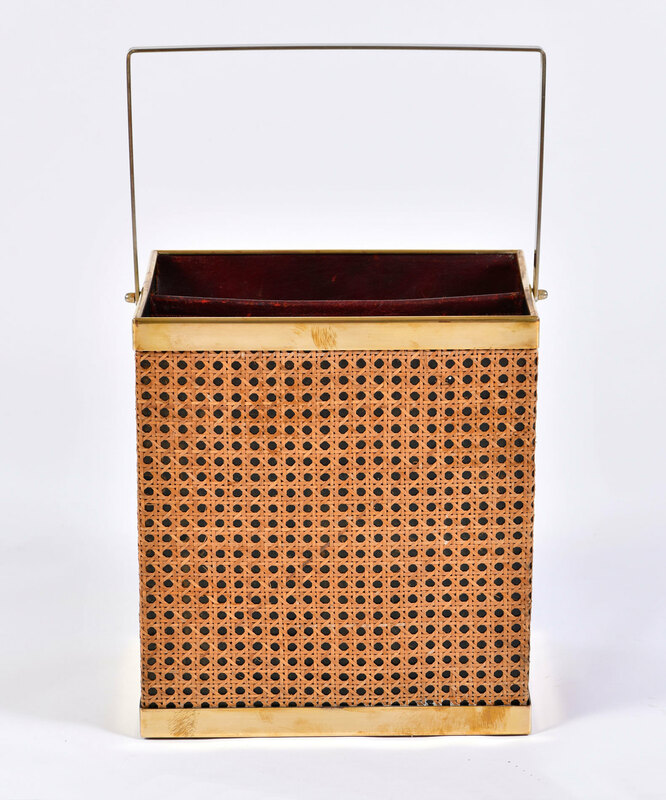 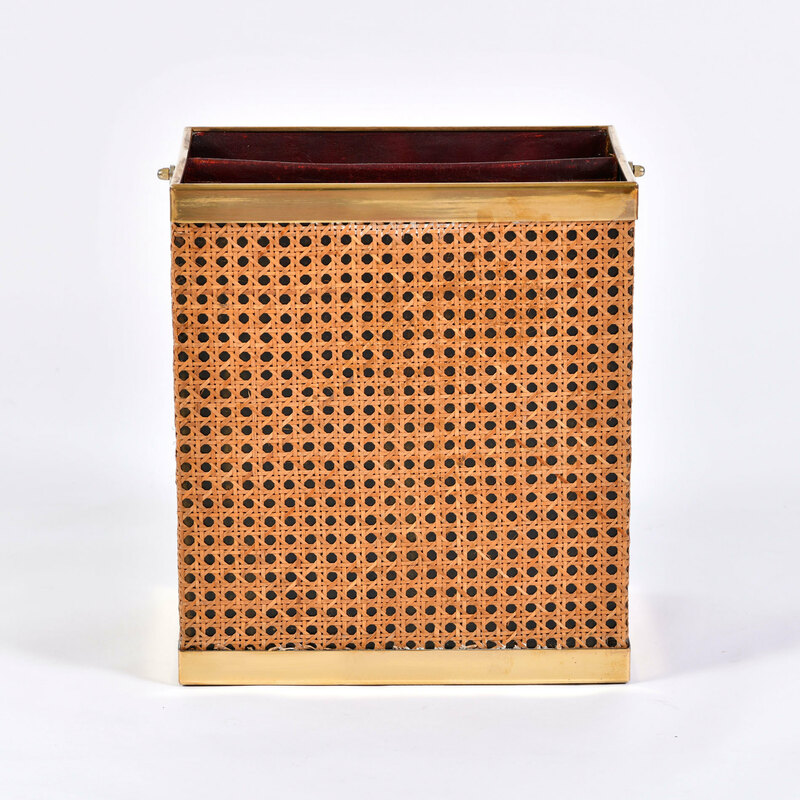 Wicker magazine rack with decorative brass trim top and bottom, and brass handle for ease of carrying. 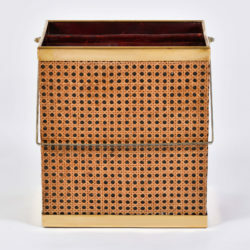 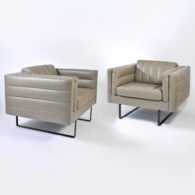 Two internal compartments. 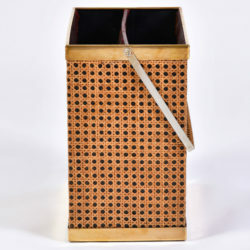 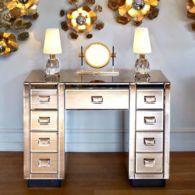 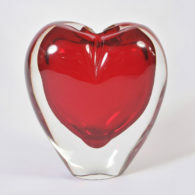 Perfect for mobile storage of magazines and papers.